The wife of Founder's college friend and boss (Late Revered Sister Taraben Soparkar) was on death-bed suffering from Septicemia. The friend got the Founder(Markand Dholkia) transferred from Ahmedabad to Poona to help in the calamity. The wife was lying upstairs . She said to her husband, I am hearing the Mantra repetitions from some Matajee's devotee. I am on death-bed so please find him out round about our bungalow streets and let me have his Darshan". The friend took the Founder and went round in search and assured her that there was none :"Not only I but even 'Dholkia Kaka' accompanied me for the search". She exclaimed,"What, has he come? It must be than he. 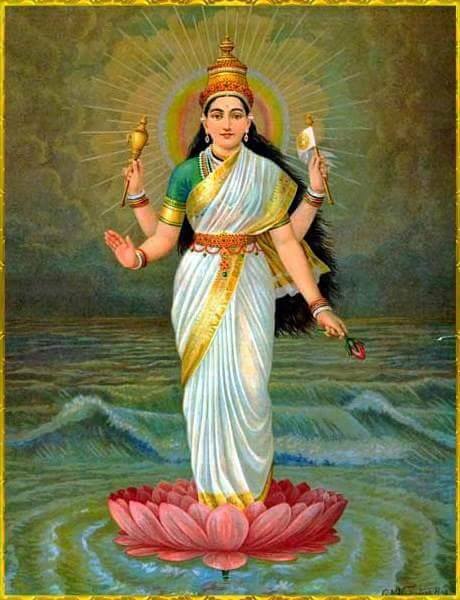 Please call him up".She repeated the same shloka of Sapta Shati fourth Adhyaya which the Founder was then repeating mentally unheard by anyone. This shloka was repeated by her to assure the Founder that he was a recognised devotee and that she was worthy recipient of his Darshan and blessings. A drawing professor was coaching the friend's daughter. He inquired of the future of the lady from a Pandharpur saint. The saint foretold, that her days were finished but added, "There is however a saint in his house. out of courtesy to whom She is not being taken away. The day he leaves the bungalow. she would expire." The friend enlightened by the first experience suspected that the saint in his bungalow was none other than the Founder and as he was the head of the department, kept him all hours confined to his bungalow by way of precaution. asking him to do his official work at that place. On 3-October-1931, the case was entirely serious. Three eminent doctors declared she would die within an hour or so. The worst news was broken by the husband to his friend who tried to strengthen his courage to meet the calamity.The husband vociferated,"What a coward talk? I am sure, if you heartily pray, she will atleast live longer and give me sufficient time to prepare for the worst." The Founder had a very little of confidence in the efficacy of his prayers for the most impossible change, but he had to follow him upstairs. He prayed with his whole heart and devotion standing near the pillow of the lady in midst of nearly twenty weeping relatives. The pulse, speech and vision had left the body. On prayer, the Founder's tears fell in her mouth, the pulse speedily went up, vision and speech returned and the eyes opened. Her word were,"How can I like to leave this world leaving behind me the un-cared-for children ? I see Mataji standing before me. She says if you fast for a day she will give me a week's extension. Will you not promise doing that for me?" The promise was given hand in hand and the improvement began with most unimaginable speed. Just half and hour after, she asked for milk, fruit-juice etc. It was an unprecedented family joy. "God as Mother, Mother of all, propitiable with universal love, service, devotion and unconditional cheerful self-surrender". These six words and expressions he would often hear in the air and would read written on walls and on the ceiling between joist-gaps and on closed doors and windows. He pleaded his full unworthiness to such an innovation. The more he tried to evade , the more did Mother sit on his heart and head till the sweet talk became artificially embittered and wrathful. "What do you prefer ? Installing me as Mai with the dictated six tenets or life-long present semi-lunacy ? The Calcutta message-bearer came over to Poona (Pune). Finding no place in any other hotel, he had come over to the hotel where Founder resided.With great despondency as how to find the man in such a large unknown city, he fell into sleep at 10 p.m. He had a dream ; "Don't be afraid and losing heart. I have brought you to the man. Just at twelve midnight, you see things through the slit of common door between your room and the front room. You have to hand over the message to the man there in the morning. Make a bold statement". The man saw the Founder at the said hour in communion, full of solicitations to Mother," To find some other man to install etc." In the morning he delivered the message and left. The Mysore devotee who carried the message happened to come to the hotel as a casual visitor. The Founder by chance went to the dining floor at the time the man was dining. As soon as that man saw the Founder returning to his place , he suddenly left his half-meal and ran after the Founder. Most abruptly he talked,"Are you a devotee of Devi ?" Founder also made no delay: "Yes, not only a devotee but a passionate, most uneasy devotee". Still most abruptly the man said," I come from Mysore. I have a message to hand over to you from Mother." The Founder got dumb-founded. "Yes please come to my room. The man followed : the message was communicated. Said the man," I have come so far. Would you not favour me with the spark of Love for Mother ? I have enough of divine knowledge for my purpose (this was only his modesty). Said the Founder," Are you prepared? Would you sit with me on the bench of the Sheikh Sulla bridge during night hours ?" He agreed. The Founder was sitting with him from 11 p.m. to 4 a.m. on wooden bench. The man went to his place. He was at the highest pitch of desire that he may have a vision of Mother at least in a dream. He had a dream in the sleeping. Mother appeared and said,"You are now longing for my Darshan. Who was talking to you for hours on the bridge? That was myself. You have not only seen me but talked with me". The man narrated the event to the Founder at early dawn. Each and every condition was so very wonderfully and admirably fulfilled. He was getting surer and surer as one condition after another came up attaining fulfilment and when finally a hawker shouted out "Har Har' (Garland, Garland), he burst into tears on hearing that shout. He began to beat his breast and forehead. "Mother, Thou hast finally caught me. Could you not find any other man, who is more worthy than myself ? "The five persons consoled him with the sweetest words, "She would do Her own work. Who is more blessed than yourself ? Why should you loose heart and courage ? Where is the question of your worthiness or unworthiness, at all sir, when She Herself has chosen you ?" PUBLISHER : UNIVERSAL MAI-ISM TRUST, MAI NIWAS, SARASWATI ROAD END, SANTA CRUZ (WEST), MUMBAI -400054 INDIA.